Dr. Ana L. Salinas and Dr. Claudia M. Medina are Optometrists in McAllen and Edinburg providing complete eye care services for the surrounding communities. As licensed optometrists, Dr. Salinas and Dr. Medina provide exams, diagnoses, and treatments of all disorders that affect the eye or vision. In addition to training in eye diseases and disorders, Dr. Salinas and Dr. Medina are also trained in anatomy, biochemistry, and physiology. With this background, Dr. Salinas and Dr. Medina are trained to recognize a range of health issues; such as glaucoma, macular degeneration, diabetes and hypertension. Dr. Salinas and Dr. Medina work hard to stay current on the latest advances in eye health and vision care and regularly attends continuing education seminars and advanced training courses. It is because of Dr. Salinas's and Dr. Medina's dedication to continuing education that our McAllen and Edinburg patients receive the most modern and progressive vision care available. Dr. Ana L. Salinas graduated from UT-Pan American University in 1989 and the University of Houston College of Optometry in 1993. She is a member of the Rio Grande Valley Optometric Society, Texas Optometric Association and the American Optometric Association. She started her optometry career at Hammond Vision Center upon graduation from optometry school. She enjoys volunteer work with her church and children's school. 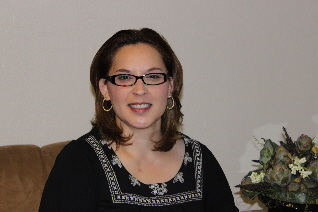 Dr. Claudia M. Medina graduated from Texas A&M University in 1997 and the University of Houston College of Optometry in 2004 as a Therapeutic Optometrist and Optometric Glaucoma Specialist. 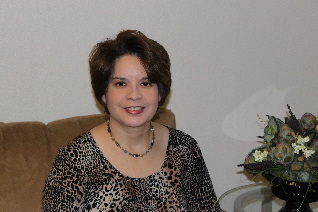 She joined Hammond Vision Center in 2004. She is a member of the Rio Grande Valley Optometric Society, Texas Optometric Association and American Optometric Association. She is a board member of the Hidalgo County 4-H Foundation and volunteers in her community and children's school. Dr. Hammond graduated from Optometry School from Ohio State University. In 1952 Dr. Hammond moved to Houston, Texas to become the first instructor of Optometry at the University of Houston, School of Optometry. After two years he came to the Rio Grande Valley in the 1950's and he quickly embraced the unique and beautiful culture of South Texas. Over the next forty years he built his practice on integrity, trust and respect. After 40 years of serving the Rio Grande Valley, Dr. Hammond sold his practice to Dr. Ana L. Salinas in 2002.